Happy Private Investigator’s Day! Who’s your favorite fictional PI? July 24th is Private Investigator’s Day. The date was chosen to celebrate the birth of Eugene Francois Vidocq in 1775. Apparently a master of disguise, Vidocq was a criminal who escaped from custody and spent years on the run, only to eventually turn informant and secret police agent. 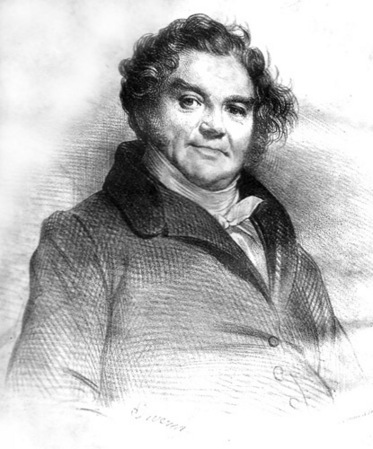 Vidocq founded the French state security police force Sûreté Nationale, and in 1833 he started the first known detective agency. Many consider him to be the father of modern criminology. But there’s another reason today is the perfect day to celebrate private investigators. 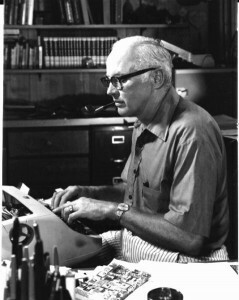 On July 24, 1916, a man was born who would revolutionize the private investigator fiction genre. 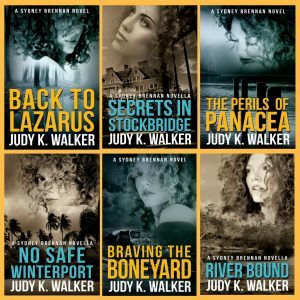 But it wasn’t until I reached adulthood that I really fell in love with the private investigator genre. I was in law school in New Orleans at the time, and I didn’t really have a lot of time or inclination for reading fiction. It’s like when you’ve gone too long without eating and lost your appetite. It takes just the right dish to bring you around. My husband (then boyfriend) and I stopped at a used bookstore in the suburbs, and something caught my eye. 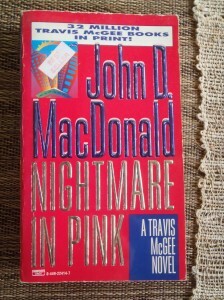 I’m guessing it was Nightmare in Pink (that cover is very eye-catching), but it doesn’t matter which one it was. It was my introduction to John D. MacDonald’s Travis McGee, and I didn’t stop with the first one. Travis McGee was my dish. So to speak. 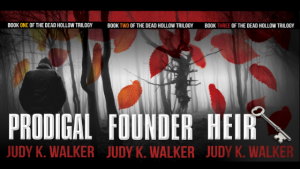 “I whisked the soot off the wall by the entrance steps and sat and waited for her, and watched the office people bring their anxious dogs out. You could almost hear the dogs sigh as they reached the handiest pole. There was a preponderance of poodles. By the way, this is just where I randomly opened the book. Two out of three pages has something compellingly quotable. The man broke me for other genres. 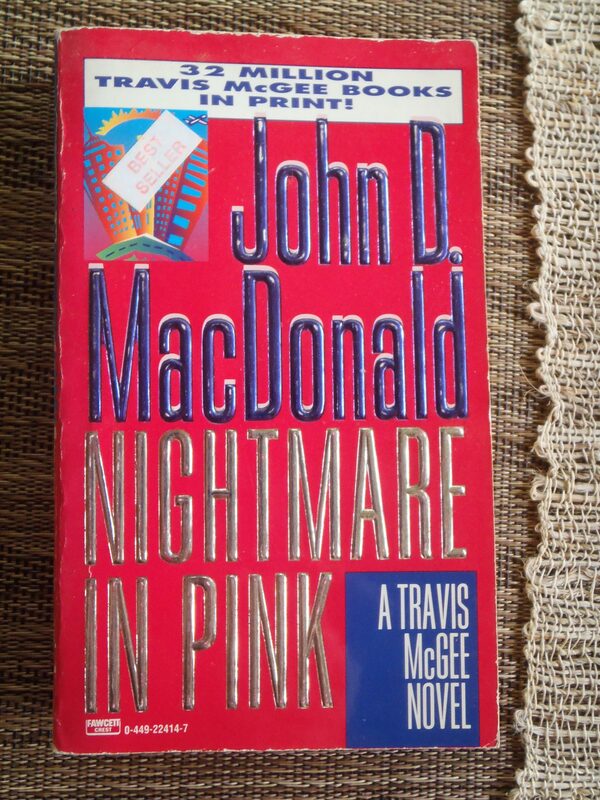 I’ve read some of MacDonald’s other books and enjoyed them as well, but nothing compares to Travis McGee. Oh, and did I mention that today also happens to be John MacDonald’s birthday? So, who’s your favorite private investigator?